Brad Smith has always been active as an athlete, so in the ’90s, after being frustrated by his own injuries and looking for a change of pace from a desk job, a friend suggested that he look into massage therapy. Since his graduation from the Somerset School of Massage in 1999, he has been performing deep tissue massage and other body work on amateur as well as professional athletes. Early on in his practice he discovered that he had a heightened ability to treat soft tissue injuries as well as correcting postural imbalances. This helped relieve many of his clients who had been living with both chronic and acute pain. The professional sports world saw the advantages of having Brad on their side and to that end, the Trenton Titans Hockey Team in the East Coast Hockey League quickly hired him. 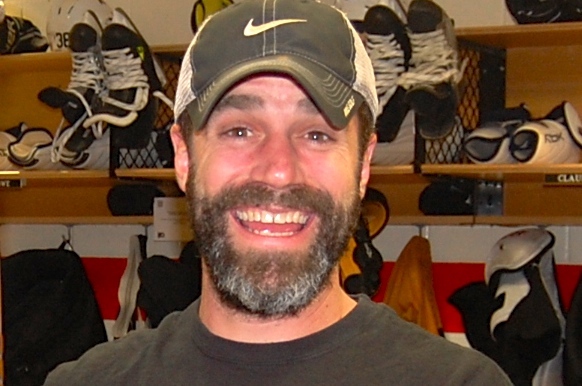 After 3 seasons he became the Head Massage Therapist for the Philadelphia Flyers, and has been there for 13 seasons. Realizing a need to help more than just the professional athlete, Brad opened Active Muscle and Sports Therapy as a way to bring active massage therapy to the general public as well as athletes of all levels. Now, for those looking to enhance their performance on the field, on the court, or ice, and those with soft tissue injuries, Active Muscle and Sports Therapy is here to treat them.